A lockable rod for power sweeping. Joins with a simple press of a button and can be rotated both clockwise and anticlockwise. Rodtech Click 15mm x 1000mm Solid Rod. This rod is used within flues of 200mm (8 inch) up to 450mm (18 inch). 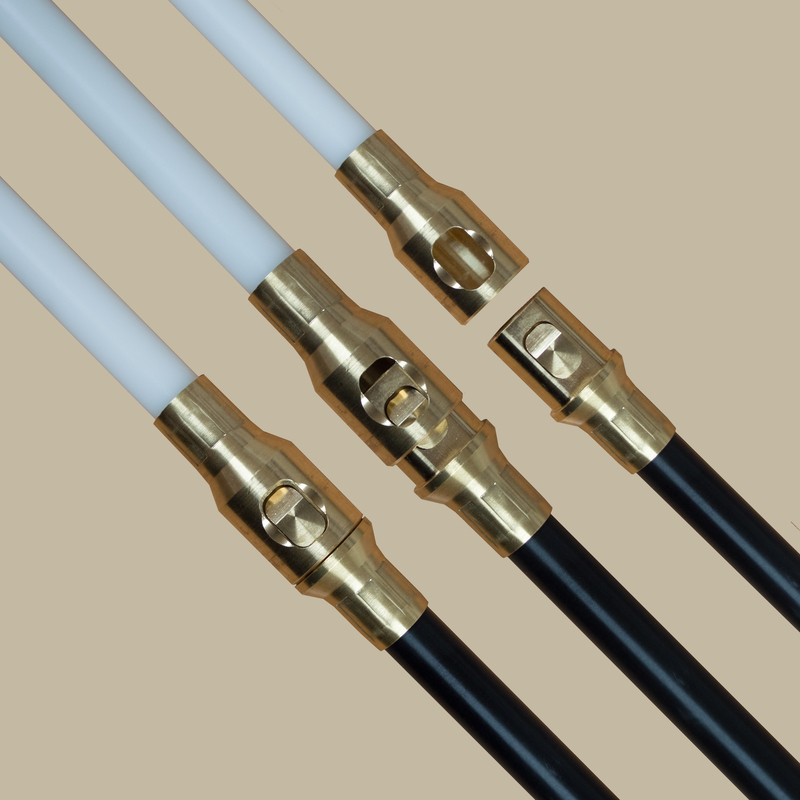 The rod is primarily used for unlined flues, ducting and drains. Rodtech Click Brass 18mm x 1000mm Solid Rod. These minimal flex and hard wearing solid section rods are ideally suited for flues and ducting with a range of sizes upwards of 450mm (18 inches). These rods are best used with a minimum 24v (ideally 36v) Cordless power drill. You will need a Rodtech drill adaptor and a Rodtech Click to 1/2″ female BSW adaptor to use the range of Tamar power heads and nylon brushes. 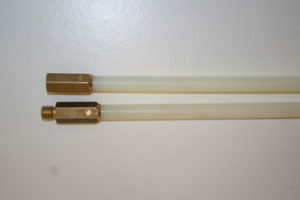 These rods can also be used for manual sweeping with Tamar polypropylene brushes. 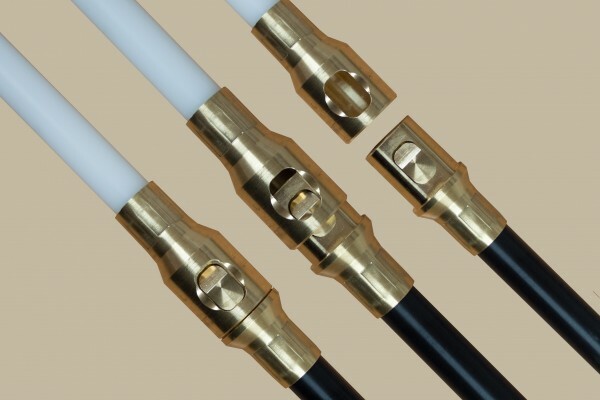 Again a Rodtech click to 1/2″ female BSW adaptor will be required to fit the brush to the rod. Adaptors can be found within the Accessories section. Rodtech Click products come with a 12 month replacement Warranty. The warranty covers all Non-wearable parts and joints on our Rodtech Click range. It does NOT cover misuse of equipment or when the equipment is used for tile breaking It does not cover parts that will wear with use, such as head inserts (Nylons, Chain and Wire etc) You must read the manual for guidance. In the unlikely event you will ever need to use this warranty, you will be required to return the product to Rodtech or a Rodtech Agent before a replacement part is supplied (subject to being used in accordance with our user manual). Due to extruded plastic properties it never possible to guarantee the straightness of the rods, however they will still function to a high standard.